Pink Dog Harness By Dog & Co. 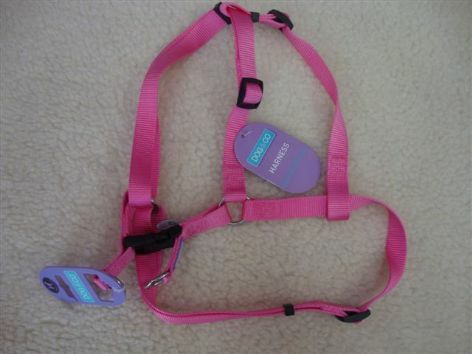 Durable Nylon Webbing Pink Dog Harness. Colourful, stylish and affordable dog harness. Fast click buckle and 2 D rings. This fully adjustable harness gives you quick and easy control. Check your dog's harness regularly for wear & tear.